12th pass candidates with Physics, Chemistry, Biology, Zoology or Botany as one of the subjects can apply for these Forest Guard Jobs. Those who have passed in 12th class examination with Physics, Chemistry, Biology, Zoology or Botany as one of the subjects. Candidate must possess a valid Driving licence issued by the competent Transport Authority. 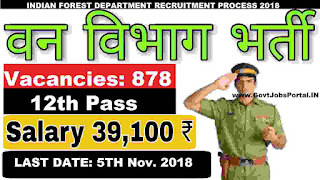 b) The candidates applying for the Forest Guard Examination should ensure that they fulfill all the eligibility criteria for admission to the Examination. 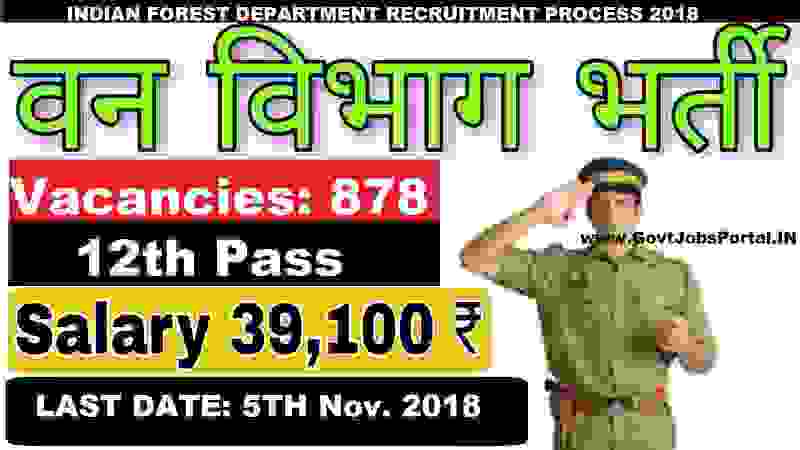 c) Candidates are instructed to scan & upload the copies of certificates wherever necessary along with the online application form for these Forest Guard Vacancy. d) The Admit Cards for eligible candidates will be made available in the Tamil Nadu Forest Department’s Website: www.forests.tn.gov.in for downloading by candidates. No Admit Cards will be sent by Post. So, the candidates are requested to regularly visit the above website well before the Scheduled date of Examination(s). e) “Conduct” in Examination Hall: No candidate shall copy from any other candidate and not permit to copy or give or attempt to give or obtain or attempt to obtain irregular assistance of any description. f) No candidate should misbehave in any manner or create a disorderly scene in the examination hall or harass the staff employed by the TNFUSRC for the conduct of the examination. Any such misconduct will be severely viewed & penalized and may result in disqualification. g) Their admission to all stages of the Examination will be purely provisional, subject to fulfilling of the eligibility conditions. h) Mere issue of memorandum of admission to the candidate shall not imply that his/her candidature has been fully cleared by the TNFUSRC. i) Their admission at all the stages of this recruitment (Online Examination, Walking Test / Physical Standard Verification and Personality Test) for which they are admitted will be purely Provisional and if on verification at any time, before or after, it is found that they do not fulfill any of the eligibility conditions, their candidature for this recruitment will be rejected / cancelled.